Sally Rugg is a Sydney-based activist advocating for a range of LGBTQIA+ issues. She speaks regularly at public events and is devoted to equality and fair treatment for all people, from the LGBTQI community, to refugees, to those living below the poverty line. After our initial sitting I began painting while Sally travelled around Australia to campaign for marriage equality at several rallies. We had a final sitting shortly after the announcement of the marriage equality postal survey, which we strongly opposed, and at the time we were both hopeful that marriage equality would become a reality in the near future. 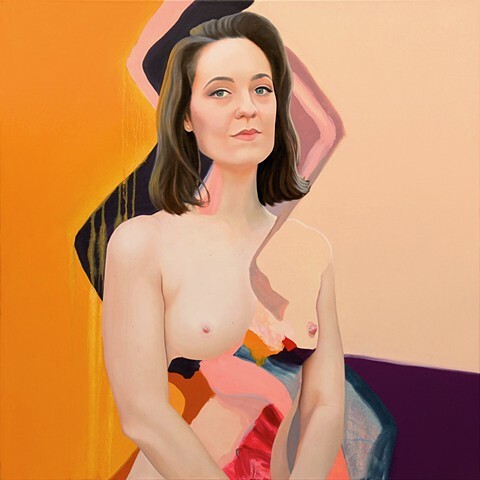 This painting was selected as one of 30 Finalists in the Bluethumb art Prize.